A strong attack on people and businesses who make retrospective planning applications was made last night by a leading town councillor. 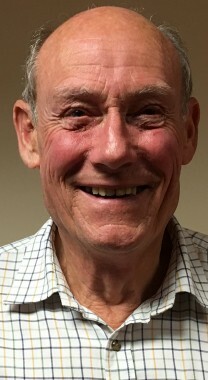 Cllr Chris Macve, Trust Independent, Uckfield North, also suggested the planning authority (Wealden District Council) should put a hefty surcharge on the cost of making such applications. The town council plans committee has seen a considerable number of retrospective applications in recent months. One of the latest concerned the new Thai restaurant in the High Street. It is seeking permission for the installation of a new extraction system and fresh air intake and construction of a new plant room. The town has objected because the noise level of the extraction unit is “excessive and detrimental to neighbours”. A resident of Regency Close said in a letter to Wealden that the extractor noise was excessive and could be heard from their house, which was about 60m away. “It is particularly disturbing in the evenings, especially during summer hours when the windows are open. The pitch and level is loud enough to keep people awake. A way needs to be found to silence this,” they wrote. Speaking generally about retrospective applications, Cllr Macve said: “I have become increasingly concerned. We seem to be getting more and more retrospective applications. “It seems to me that people should put the application in before the work is carried out. Wealden, I think, don’t necessarily impose a strong enough regime and a lot of applications come in retrospectively and then, in many cases, are just passed. He said the restaurant application had two parts; one for shopfront signage which was “fairly uncontroversial but, again, we should have had the opportunity to talk about it before the sign went up”. Cllr Macve said there were “problems” with the extractor system. “The noise that emits is quite pronounced when you are the back of the property. “I would have thought these days with modern technology and equipment that it would be possible to have an extract system that was silent,” he said. The committee agreed to write to the district council suggesting that a much more stringent line was taken on retrospective planning applications.